Fishing is at the heart of Vietnamese culture and many communities rely on the marine life to provide income and food for their families. 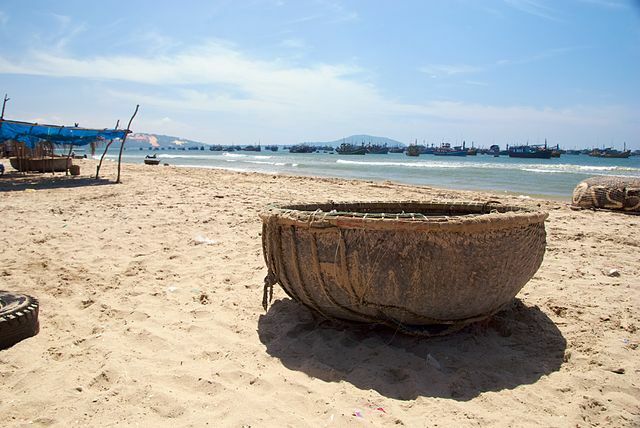 As with this, the traditional basket boats of Vietnam have been created and re-designed over the years in line with technological advancements and politics to encourage the best of fishing off the Vietnamese coast. 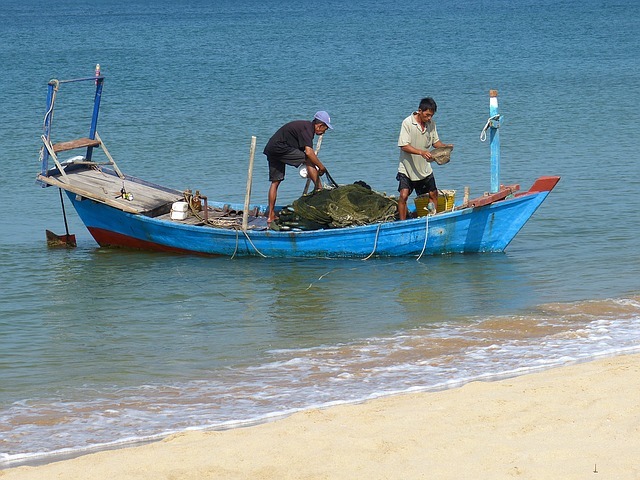 Agriculture is the main source of income in Vietnam and employs more than half of its 89.71 million population, therefore the fishing boats that line the coast are essential to sustaining the livelihoods of the people. Westernisation of Southeast Asia, especially in Vietnam, has also helped to develop different styles of fishing throughout the centuries and can be clearly seen when visiting the magnificent country on a Vietnam tour. 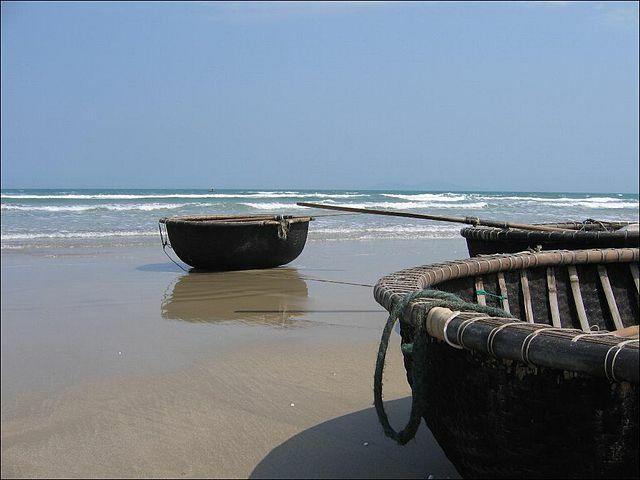 Coracles, native to Wales, have been used in Vietnam for centuries and are just as prominent today. The hollow oval-shaped design, with an interwoven frame made of bamboo and a canvas layer, enables fishermen to quickly manoeuvre the small boat, which is about two metres wide. 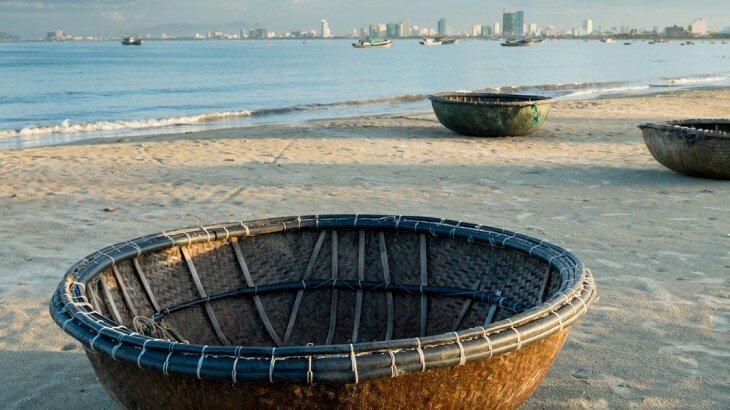 Although the coracles, known as Thuyen Thung in Vietnam, are small, they are a handy tool for fisherman who aren’t as fortunate as those with modern boats and are cheaper to run compared to boats with diesel engines. Due to the coracle causing hardly any noise and movement of the water, they become just as effective for catching fish compared to the high powered vessels. “There is little official documentation about the origins of the Basket Boat. However, it is said that during the French Colonial Era, a variety of new taxes were introduced; one of these being a tax on owning a boat. The poor regional fisherman couldn’t pay the charge, and risked losing their livelihoods. Just like how Vietnamese people use ingenious craftsmanship to create spectacular rice fields carved into the mountainous countryside, the coracle also shows the craftsmanship and heritage of the boat in Vietnam, as the Vietnamese have altered the traditional Welsh design to suit the Southeast Asian waters. Where the Welsh would tend to use fibreglass to hold the wooden boat together, the Vietnamese design theirs with resin and coconut oil – a natural product grown across the country – making it cheaper to build. “Affectionately referred to as the ‘Right Arm’ of the fisherman and the ‘Child’ of the mother boats, ‘Thuyen Thung’ is an inseparable part of a fisherman’s life. It is a multi-purpose craft: used as a very effective lifeboat in case of emergency, a singular boat to catch fish close to shore and a small, lightweight means of carrying cargo and people to and from the larger boats anchored offshore. Just like the country itself, Vietnamese fishing has changed with the times. Although the coracle has been the fishing boat of choice for many, larger vessels have taken over the seas in recent years and have become the wooden boat of choice for many. Those who are able to afford engine-powered vessels are able to use their wooden boats in deeper waters, enabling them to capture greater hordes of fish and other seafood of the season. On the other hand, the elongated traditional wooden boat design, the stereotypical image of Vietnamese fishing, has been an effective form of transportation for the Vietnamese. The long, sleek wooden design allows the fishermen to paddle through the waters with minimum effort, whilst creating less friction and disturbance of the water, perfect for a successful fishing trip. Book an award winning trip to Vietnam with the Asia experts, Wendy Wu Tours. Our escorted Vietnam tours visit all the major sights for an unforgettable holiday. Vietnam culture, vietnam news. permalink. You won’t want to miss these events in Cambodia! 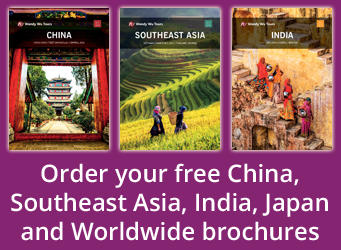 At Wendy Wu Tours, we aim to provide you with an authentic experience of the destination and hopefully inspire you to your next Asia adventure. We’d love to share our expertise here with you. Wendy Wu Tours Blog All rights reserved.